This mallow seems to be a hybrid. I saved the seed from a found plant that had seeded itself in the front garden of my son's house in New Maldon. 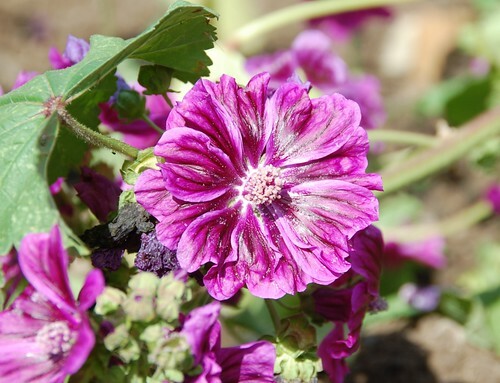 Lovely flower, and I hope that it can be used in the same way as the common mallow. These pink flowered strawberry plants are really for ornamental use although they do sometimes produce the odd, small but well flavoured fruit. 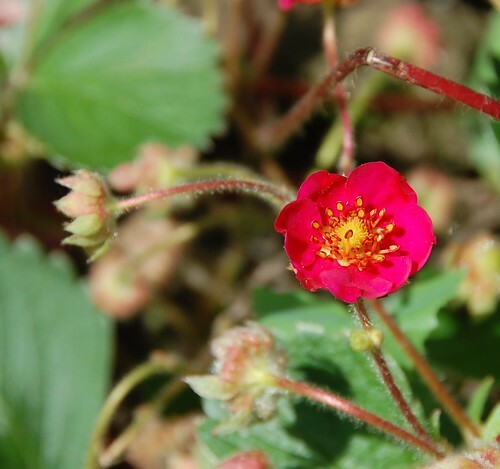 It is some sort of hybrid between Fragaria and the marsh cinquefoil, Potentilla palustris, but I don't seem to be able to find this exact variety pictured commercially. 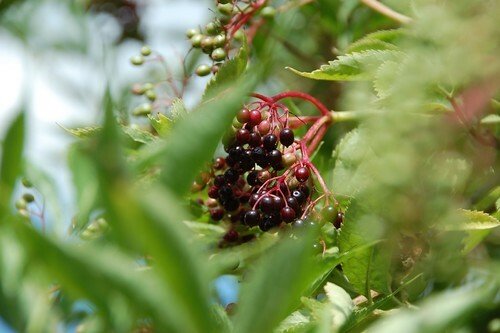 I'd love to be able to make a reliably fruiting form although I think that's going to have to stay on my list of desirable but probably unattainable projects for the time being. 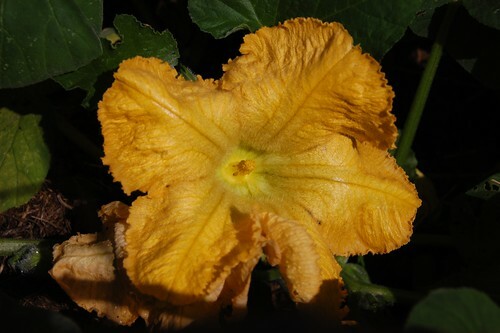 As usual the butternut squashes have set no fruit yet. 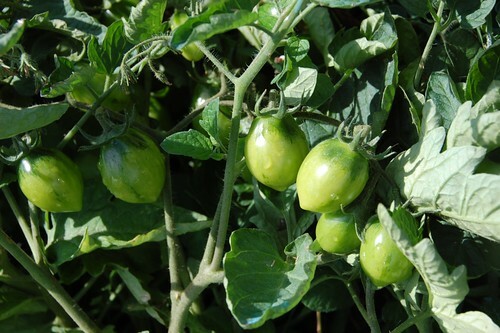 Last year we were lucky and did manage to ripen half a dozen but at this rate we will have none at all this time. 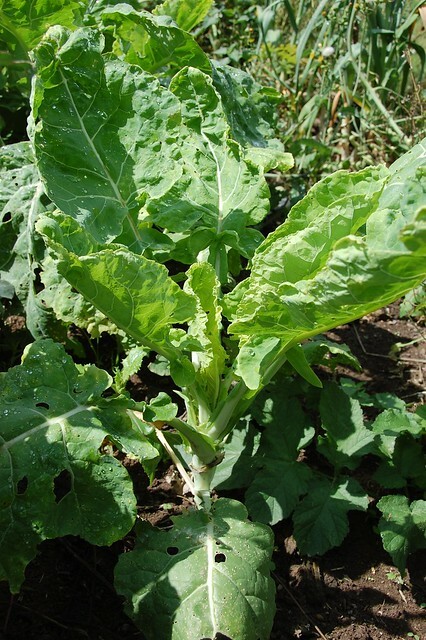 This is the Asturian Tree Cabbage from Realseeds. I didn't cage the cabbages this year and they have been attacked by Cabbage White caterpillars which I have been grimly dislodging and squashing every few days. 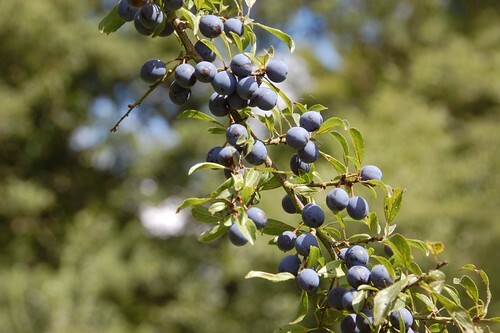 Sloes are ripening already and the elderberries will soon be ready for cordial and ketchup. 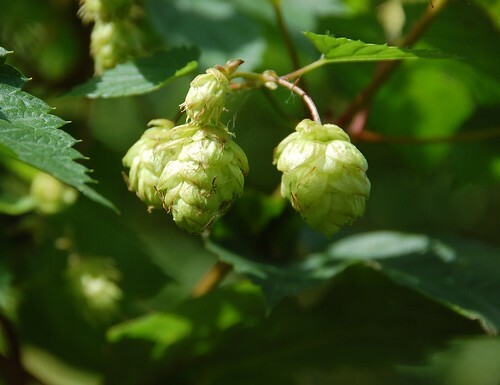 The hops are beginning to come too, although I rarely make use of these. 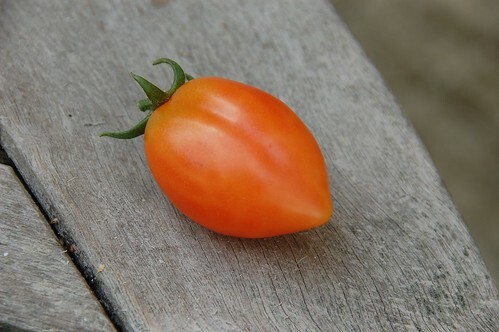 And then, reward for our patience, I found the first tomato.